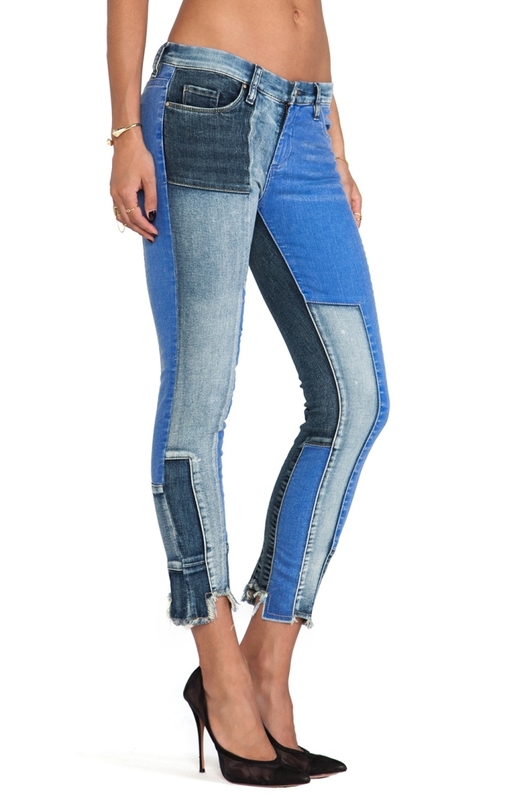 Some very exciting patchwork jeans for right now! It’s just right smack middle of summer and I stumbled upon these truly kickass jeans from NY brand BLANKNYC. Wow, where have you been all summer, Blanks! I was so looking for a pair of outstanding skinny jeans, that are not meh dark blue and especially not more meh boring. 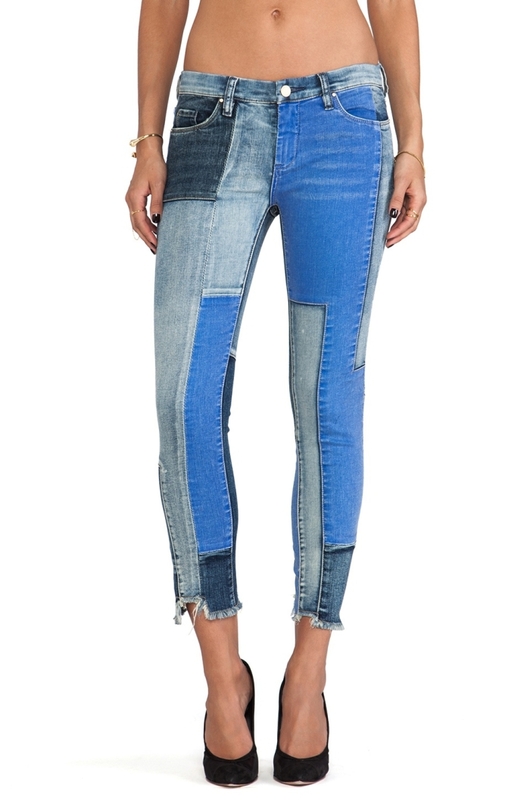 But I also did not want to have one more shredded, ripped, destroyed or barely held by threads pair of skinnies. I didn’t know what I was looking for until I saw the Tetris here. They have just the right amount of stretch to be wearable when it’s really hot – 98% cotton , 2% spandex. They are cropped, 26″ Inseam AND their patchwork is totally off the wall! No matchy-matchy, the Blank guys just went ahead and took over their cutting tables and created the truly outside of the box patchwork patterns. I LOVE THESE JEANS. They are so me, and hey, I am not even a skinny jeans person!!! 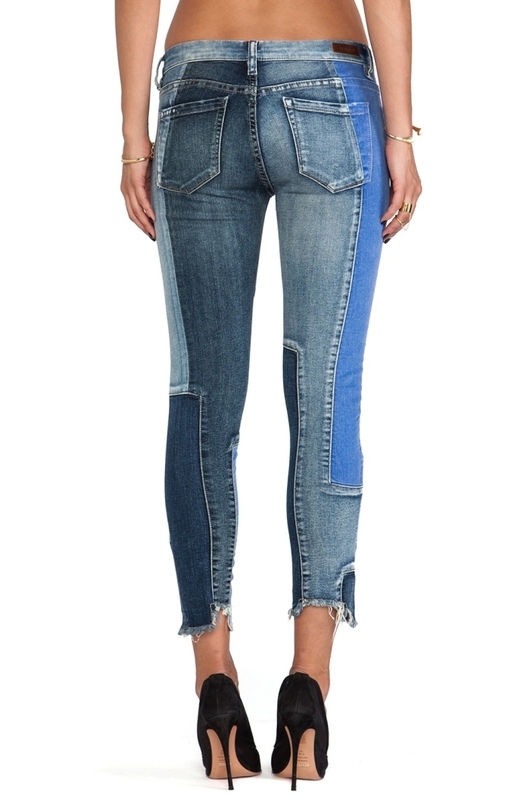 These jeans are pretty much sold out, but there will be a new delivery this month at REVOLVE. 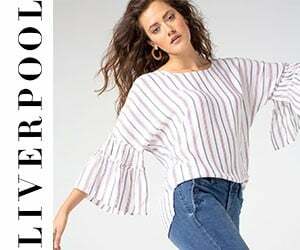 AND, for only $88 you will rock and look like a million dollar babe!